Our church runs a Sunday club for five to eleven year olds, which is held from 9:45am to 10.30am on Sunday mornings. All children in this age range are welcome to join us. The Sunday club begins with children singing one or more Christian songs. Children then divide into groups based on their age and learn about a story from the Bible. This is followed by an activity relating to the Bible story that they have heard. 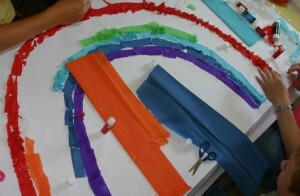 Occasionally we run activity days on Saturday for children who come to the Sunday club. 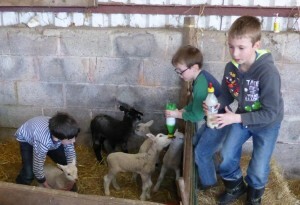 These have included outings to a local farm, summer activity days with a barbeque, and Christmas activity days in December. The Sunday club is free of charge, and is staffed by volunteers who are members of our church. All staff have been DBS checked. We are usually able to provide transport, collecting children from their homes and returning them home afterwards. If you have any children who would like to come to our Sunday club, please contact us by ringing James and Lucy Bailey on 01732 507 164. 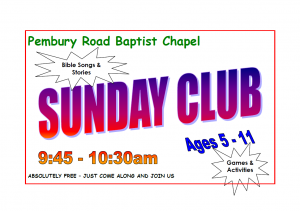 You can open a leaflet about our Sunday club by clicking on the image below.